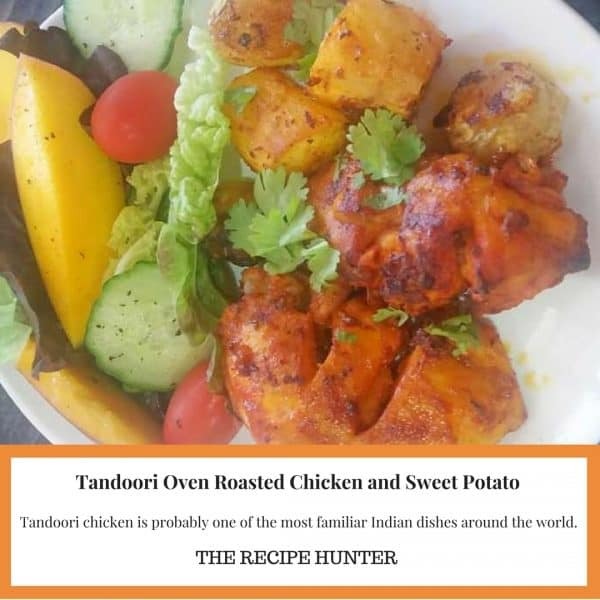 Tandoori chicken is probably one of the most familiar Indian dishes around the world. Chicken pieces washed and drained. Add 3 teaspoon plain yogurt and mix well. Rub chicken well with above marinade paste and marinade for an hour or more in the fridge. Put chicken and sweet potatoes in a griddle pan and drizzle avocado oil over it. Roast for 30 minutes or more until cooked.